Alfreton Town return to National League North action after yet more FA Cup success, as we travel to Chester for the first time since October 2014; for our first meeting of the season against the Blues, kick off is 3pm. The Reds will be buoyed following progression into the FA Cup First Round and a tie with League One Fleetwood Town in a few weeks. With the fixture also being selected for BBC single camera footage and moved to the Sunday programme, the Reds will no doubt be eager to cause a shock. The performance against St Neots last weekend certainly put us back on track and back on the right side of momentum. A stunning first half display saw two goals from Curtis Bateson and two penalties from James Clifton wrap the contest up inside 27 first half minutes. Game management then came into fruition for Billy Heath and Alfreton showed that professsionalism and composure to ease into the first round of the FA Cup. With confidence back amongst the ranks, we will be desperate to turn league form around at the Swansway Chester Stadium tomorrow. The Reds head into the contest on the back of four league defeats in a row, including losing our last two away league games (Altrincham and Chorley). Although our FA Cup run has brought huge positives, three points tomorrow will be huge, as we look to climb back up the table. With the arrivals of Sam Hird, David Lynch and Reece Styche all into the squad in the last week, the Reds will arrive with added quality, strength and experience and will look to get the upper reaches of the table firmly back in the sights. Chester return to league action for the first time in 25 days when they beat Hereford 3-0 at home. Blues joint managers Anthony Johnson and Bernard Morley’s side will be looking to pick up where they left off in the league and build on their current seven game unbeaten run in the league. 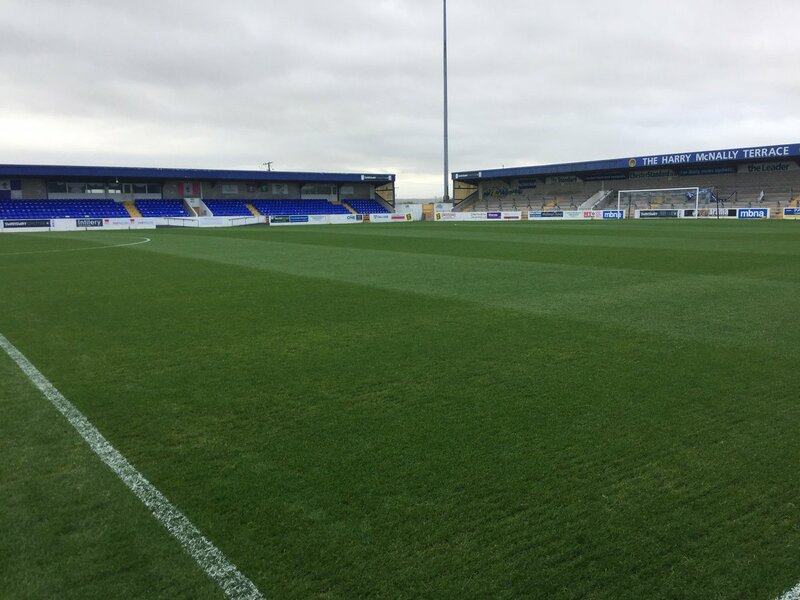 The Blues returned to action on Tuesday, as they disposed of Witton Albion 2-1 in the Cheshire Senior Cup, Gary Roberts and Craig Mahon were on the scoresheet. Swansway Chester Stadium, Bumpers Lane, Chester, CH1 4LT. There is a large car park at the ground, with a nominal charge of £2 for entry.